Since its introduction to the public early this year, Giấy (Paper) has caused a stir among the Vietnamese youth, as it is the first animation ever on Vietnamese history. 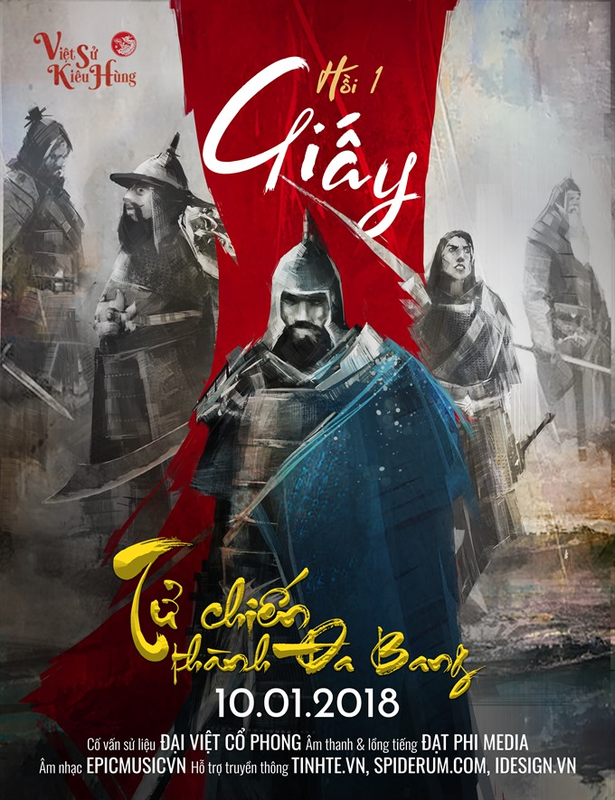 Paper is the first among the three episodes of Tử Chiến Thành Đa Bang (Mortal Combat at Đa Bang Citadel), the first part of Việt Sử Kiêu Hùng (Valiant Vietnamese History) film project. A team of young producers have invested in the scripts, the characters, graphic designs, music and dubbing. 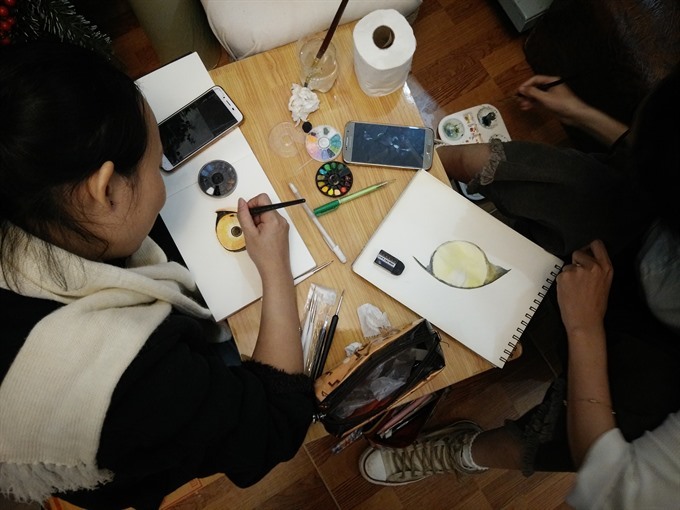 The film project aims to recreate significant battles, typical historical characters or mysterious stories in Vietnamese history through animation. Specifically, its first part, Mortal Combat at Đa Bang Citadel recreated the country as it was in the 1400s and the historical combat between Vietnamese Emperor Hồ Quý Ly, who reigned from 1400-1401, and the Chinese Ming invaders from the north. The Paper episode, lasting 17 minutes, is the fruit of more than 80 days of relentless work of nearly 30 young people. Although working in different fields — some are still students — every member of the project shares the same passion for Vietnamese history. “Our chief aim is to ensure the project works as ‘tinder’, igniting and inspiring the love for history among the youth, so that the Vietnamese people, both at home and abroad, develop more interest in the country’s history,” says 30-year-old Trần Minh Tuấn, who is also the initator of Valiant Vietnamese History film project. The idea for the project came to Tuấn after talking with actor/director Nguyễn Đạt Phi, who is managing Hùng Ca Sử Việt (Epical Vietnamese History) channel. “I was fortunately able to find many others who shared my passion and volunteered enthusiastically to join the project without seeking payment,” he adds. The production team chose the topic for each episode by keeping in mind not the significant victories that have been noted down in Vietnamese history books, but by delving into those battles that have been rarely mentioned in the textbooks. The history in Việt Nam mainly focuses on the successes and seems to neglect the failures, Tuấn says. Therefore, Mortal Combat at Đa Bang Citadel will be about Việt Nam’s defeat, and the takeaway message is that everyone should review their failures and draw lessons from them to ensure success in the future. “Winning or losing, failure or success, they are all part of the valiant history of the nation that no one must forget,” he says. Besides this, the project iniator believes the battle of Đa Bang Citadel will reveal other aspects of the Vietnamese that was hither to unknown. “What has helped us to regain the nation after thousands of years of subjugation without being assimilated? We want to give the answer to this question via this animation,” Tuấn adds. Furthermore, the obscurity of this battle in history is also an advantage to the production team, as it not only rouses the curiosity of the community but also weakens pressure from criticism. Before embarking on an animation project, the team has to compile documents about each characters, including the details of their birth and death, family background, life events and personalities. Based on such details, the artistes will sketch the image of the characters, before working with the director to fine-tune the sketches. After the hand paintings are approved, they start painting on computers. According to Tuấn, Valiant Vietnamese History project was undertaken in consultation with Đại Việt Cổ Phong, a group specialising in ancient Vietnamese culture, including Phan Thanh Nam, a reputed name among Việt Nam’s history enthusiasts, who has conducted many historical projects such as Hoa Văn Đại Việt (Vietnamese Patterns) and Nguyễn Phượng Anh, who is a lecturer in the People’s Security Academy and has a PhD in Vietnamese studies. The production of Valiant Vietnamese History animations follows three rules: respecting historical facts, not defending the characters and running no propaganda. “To make the historical film attractive, there must be some adaptations, which, however, still have to strictly follow these rules,” he says. He aslo reveals that during the production of Paper, which is the first one of its kind and cost VNĐ100 million (US$4,400), the team encountered countless difficulties, such as shortage of labour, finance, equipment and time. Even though the team and its partners are supporting the project financially without seeking remuneration, the long-term implementation of the project might be another story. The biggest success for Paper, Tuấn says, is the audience’s warm response, which was beyond expectation. Besides compliments, the team has also received many suggestions from both the audience and experts, who have pointed out the shortcomings, “which are very valuable for us to draw the experience and do better in the next part,” Tuấn says. “Moreover, many new cooperators have offered to give us a hand to complete the project,” Tuấn adds. Currently, the whole team is utilising all efforts to produce the next part of Mortal Combat at Đa Bang Citadel, entitled Sắt (Iron). The second part will work on the shortcomings of the previous one, and add sophistication to the characters’ outfits, designs and background. “We hope to integrate more Vietnamese features into our next productions, so that they not only become historical products but also contain the culture of our predecessors,” he says. Paper can be watched online for free on two official channels of the project, facebook.com/vietsukieuhung and youtube.com/duoc-moi with English subtitles./.